Wish you all the best for 2006! 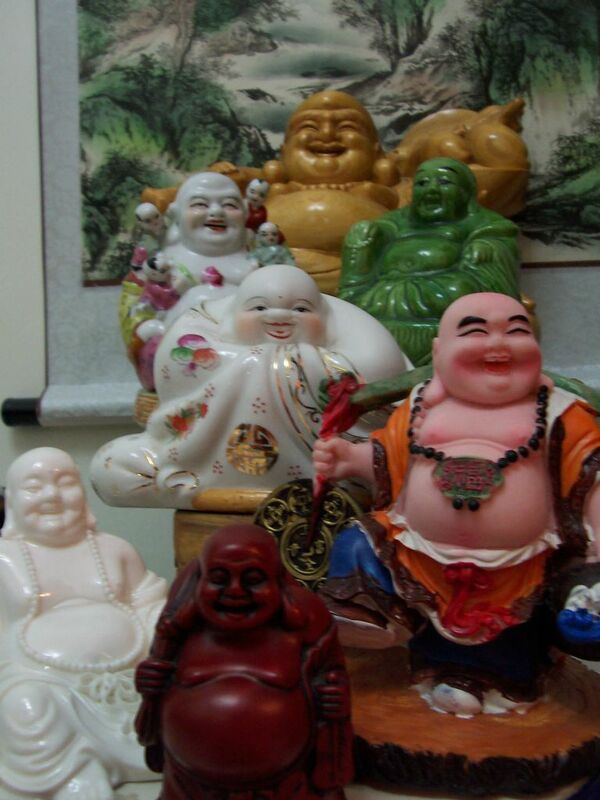 You must be a rich man with all those buddhas! Wonderful collection... They all seem to be smiling, and that alone brings a smile to your face as well. Someone told that people also keep the statues for good luck. 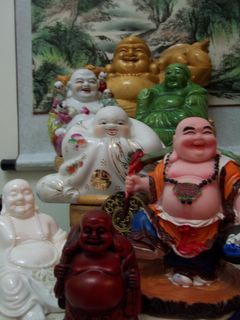 milan-> yeh..good luck... and also for happiness... yah.. this is also called the "smilling buddha".... when ever u see a buddha statute with bald head, big belly and is smilling... then they are all the same "smilling buddha" which can be any form, standing or sitting. Maitreya Buddha in other form?